Enjoy movie trailers? Check out this book trailer for "Love in Mid Air." Charlotte's Kim Wright, author of "Love in Mid Air," has discovered it's a new world in book promotion these days. With newspaper reviews dying out and author tours on the wane, writers often find that if they want to promote their books, they've got to do it themselves. And so Wright is. Set in Charlotte, her debut novel tells the story of a woman struggling to decide whether to stay in a safe but loveless marriage. With the help of a film director friend, she has just completed a trailer for the book. "All my friends pitched in sort of like when Mickey Rooney and Judy Garland would say 'Let's put on a show in the barn,'" she told me in an email. Check it out. It's a great introduction to an engaging novel. A few years ago, a friend gave me a Christmas present of Emily Herring Wilson's "Two Gardeners: Katharine S. White & Elizabeth Lawrence -- A Friendship in Letters." White, wife of E.B. White, was a writer and editor for The New Yorker. Lawrence wrote gardening books and gardening columns for The Charlotte Observer. Their friendship lasted from the late '50s until White's death in 1977. I found it a fascinating, wonderful book, and I wasn't alone. The New York Times called it "one of the finest gardening books published in years." Now, Wilson, who lives in Winston-Salem, has published another book of Lawrence's letters, "Becoming Elizabeth Lawrence: Discovered Letters of a Southern Gardener" (John F. Blair Publisher, $$19.95). It's the correspondence between Lawrence and her friend and mentor Ann Preston Bridgers, founder of the Raleigh Little Theatre and coauthor of "Coquette," a Broadway hit that starred Helen Hayes. Wilson will be in Charlotte to discuss her book 10 a.m. Tuesday, May 25, at the Wing Haven Garden & Bird Sanctuary, where Elizabeth Lawrence's gardens are located, at 248 Ridgewood Ave.
She discovered the letters, she told me, while working on "No One Gardens Alone," her biography of Lawrence. The collection reveals much about the two women's friendship, as well as life for Southern women in the 1930s and 1940s. Lawrence died in 1985. In 2004, Horticulture magazine named her one of the world's 25 greatest gardeners. “I really didn’t have the key to Elizabeth until I had these letters,” Wilson says. "This is as close as we'll have to her autobiography." In 1986, Charlotte's Elizabeth McColl had just married, graduated from Duke University Law School and passed the N.C. State Bar. Then, on her honeymoon, she suffered a head injury in a bike accident that changed her life forever. That accident and its aftermath are the inspiration for McColl's debut novel, "Opening Arteries" (Main Street Rag; $14.95). Like McColl, the protagonist in the book has a brain injury and must rebuild her life. McColl, now 48, had to relearn how to talk, how to read. She worked for a couple of years in a Charlotte law firm, but knew things weren't going well. Her brain wouldn't function as it once did. So she left. 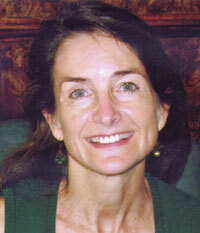 She had three children, ran marathons, earned a master's degree in English from UNC Charlotte. Now, she teaches literature at Central Piedmont Community College and King's College. And several years ago, she began her book. "I realized I had a story worth reading," she says. McColl, who's the niece of retired Bank of America CEO Hugh McColl, continues to have occasional seizures. She believes her cognitive abilities aren't what they were before her accident. Her family and friends, she says, tell her otherwise. She has, after all, just published a novel. She's already working on the sequel. This wasn't the life she had planned, but it feels like what she's meant to be doing. "There’s something magic," she says, "about giving something to your reader that came from inside you." McColl signs copies of "Opening Arteries" 6 p.m. Wednesday at Park Road Books, 4139 Park Road. She'll be at Joseph Beth Booksellers, 4345 Barclay Downs Drive, 2 p.m. June 26. We've got a winner for Jen Lancaster's "My Fair Lazy"
Congratulations, reader who goes by "jmdcnc." 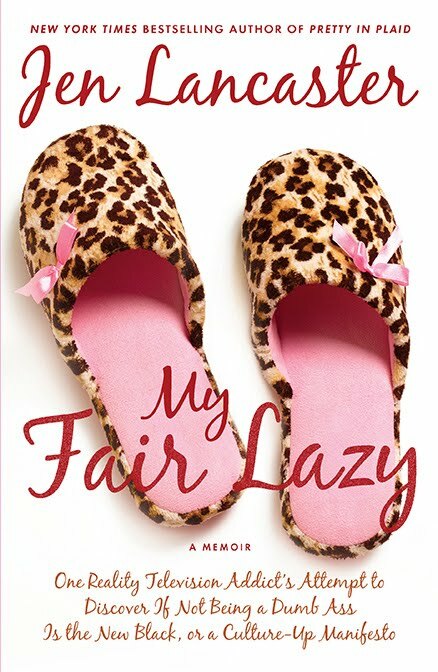 You've won a copy of Jen Lancaster's newest memoir, "My Fair Lazy." Send me an email and I'll get the book in the mail to you. Lancaster and her goofy sense of humor will be at Barnes & Noble at Birkdale in Huntersville at 7 p.m. Friday, May 21. In her new book, she explores whether she can move, intellectually, beyond her lying-on-the-couch-watching-reality-TV existence. Jen Lancaster ("Bitter is the New Black," "Pretty in Plaid") began her literary career as a blogger blessed with an acerbic sense of humor. She's now a New York Times bestselling author who writes about fashion obsessions, losing weight and her slovenly existence as a reality television addict. On tour with her new memoir, "My Fair Lazy" (NAL Hardcover; $24.95), she'll be at Barnes & Noble at Birkdale in Huntersville, 7 p.m. Friday May 21. Piece of advice: Arrive early. Her visit last May drew several hundred fans. And did you say you'd love a copy of her new book? I've got one to give away. Leave a comment on this blog with your name, or some way to identify you, not just "anonymous." I'll randomly pick a winner and post your name on Monday, May 17. Brunonia Barry hit it big in 2008 with her bestselling debut novel, "The Lace Reader." Now with her new second novel, "The Map of True Places," she'll speak at 7 p.m. Tuesday, May 18, at Charlotte's Joseph-Beth Booksellers, 4345 Barclay Downs Drive. Barry sets "The Map of True Places" in Salem, Mass., where a psychotherapist begins to find strands of her own life in the suicide of a troubled patient. Queens University's low-residency MFA holds a series of free readings this month by faculty members. All are in Sykes Auditorium on campus. The series begins at 8:15 p.m. Sunday, May 23 with a reading by Pinckney Benedict, author of "Miracle Boy and Other Stories," being published this month by North Carolina's Press 53. He'll be followed by Cathy Smith Bowers, a longtime Queens professor who was recently named North Carolina's poet laureate. Charlotte's Kim Wright, author of "Love in Mid Air," kicks off a second reading at 8:15 p.m. Tuesday, May 25. Her debut novel, set in Charlotte, tells the story of a woman struggling to decide whether to stay in a safe but loveless marriage. David Christensen, a Canadian director and producer, will follow. Playwright Branden Jacobs-Jenkins, author of "Appropriate," "The Change," and "Neighbors," will start the final readings in the series, 8 p.m. Friday May 28. Nathaniel Rich, senior editor at The Paris Review and author of the novel, "The Mayor's Tongue," will follow. Congratulations to Davidson College graduate John Hart, who has snagged his second Edgar Award for best novel for "The Last Child." The Edgar Awards are given out annually by the Mystery Writers of America. Hart won his first for "Down River." In his latest thriller, "The Last Child," 13-year-old Johnny Merrimon's life falls apart when his twin sister goes missing. A year has passed, but Johnny can't let her go. As he continues searching throughout his N.C. county, he uncovers terrifying secrets. 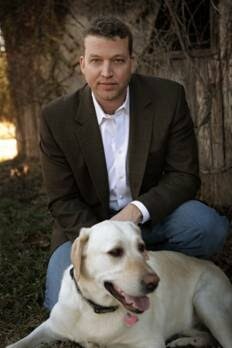 Hart grew up in Salisbury and worked as a lawyer and stockbroker before trying his hand at writing and hitting it big with his first novel, "The King of Lies." He's known for his work in support of the LandTrust for Central North Carolina and the Greensboro Children's Museum. Last year, he raised money for the museum by raffling off a character name in his next novel. 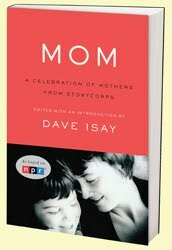 Congratulations Pamela Diamond and Laurie S. You've won copies of "Mom: A Celebration of Mothers from StoryCorps," edited by Dave Isay. Email me with your addresses, and I'll get the books to you. With luck, they could arrive before Mother's Day. Thanks all who entered for your thoughts and memories about your moms. I'm embarrassed to say that I waited too long to sit several of my family members down for an interview, and I've lost some wonderful stories.